We are a friendly organization devoted to serving all your lily bulb needs. 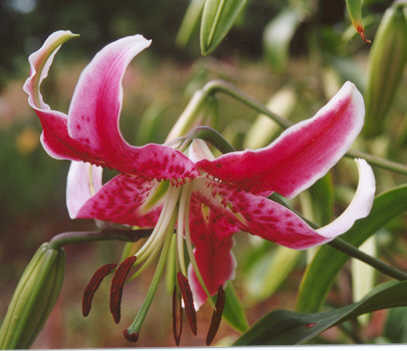 We are also very passionate about the plants and will strive to acquire as many varieties as we can. · 10am to 8pm on Wednesdays to Sundays, from June 17th to August 19th, 2015. · For other times please call ahead or take your chances. · Bus and group tours welcome, email or phone 519-692-5580. From our regular catalogue, when purchasing three or more bulbs of one variety, they are fifty cents less per bulb. If you are interested in ten or more bulbs of the same variety please contact us for a price. eg: one Alexis $4.00 or 3/$10.50. These are available in the Fall only. 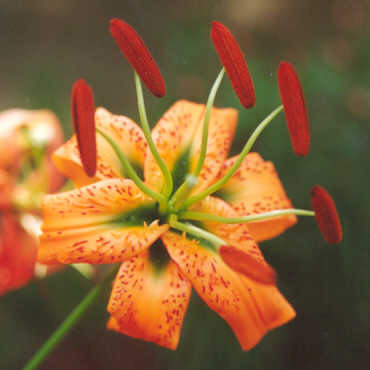 Please check out our new and improved 2015 Lily Bulb Catalog. All of this year's orders must be received by September 30, 2015. If you can't wait to fill out that order form and send it to us, then click here and start filling it out right away. The bulbs will be shipped directly to you starting October 1, 2015. Also, please notify us if you have a special date that you want to receive your bulbs. Always remember that this site is constantly being updated and improved for your convenience.